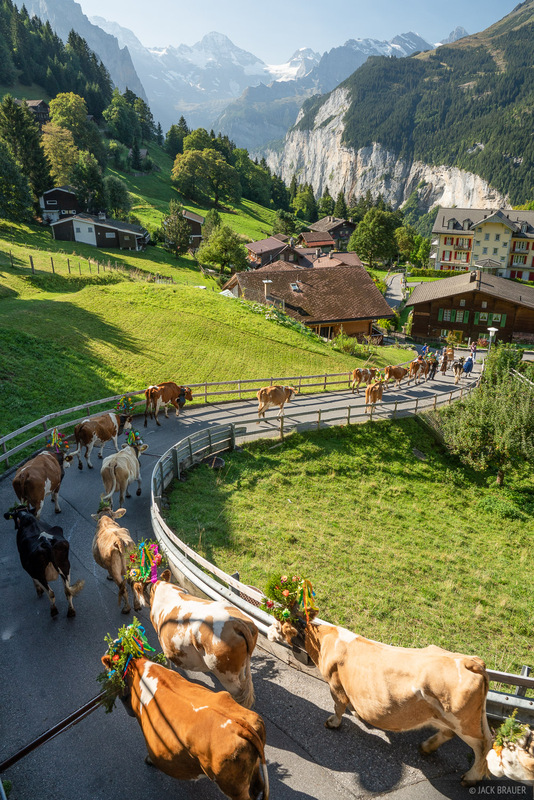 A festive atmosphere in Wengen as the cows are brought down from the mountains at the end of summer. Notice the decorative headdresses the cows are wearing! Photo © copyright by Jack Brauer.